Esports have taken the world by storm and show no signs of slowing down! The rapid growth and sudden prevalence of esports may have you wondering what they are and where exactly they came from. 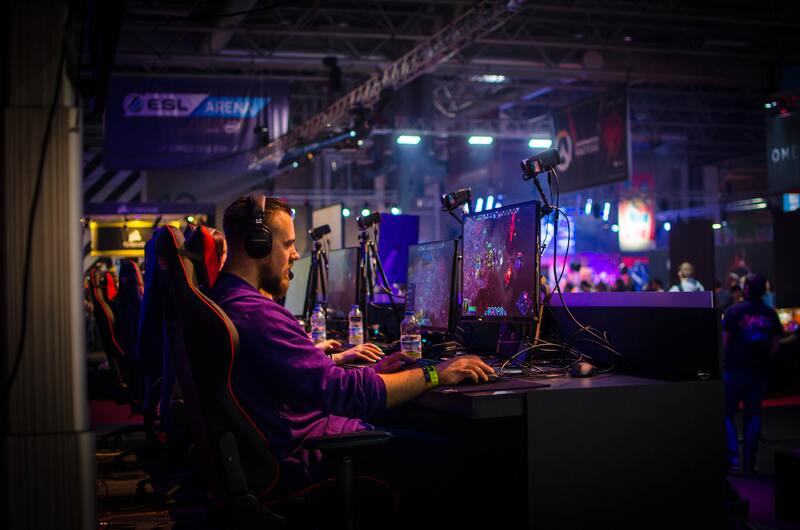 In the first of this two-part blog series, we’ll answer some common questions about esports, including factors that led to their massive popularity, as well as their connection to the traditional sports world. 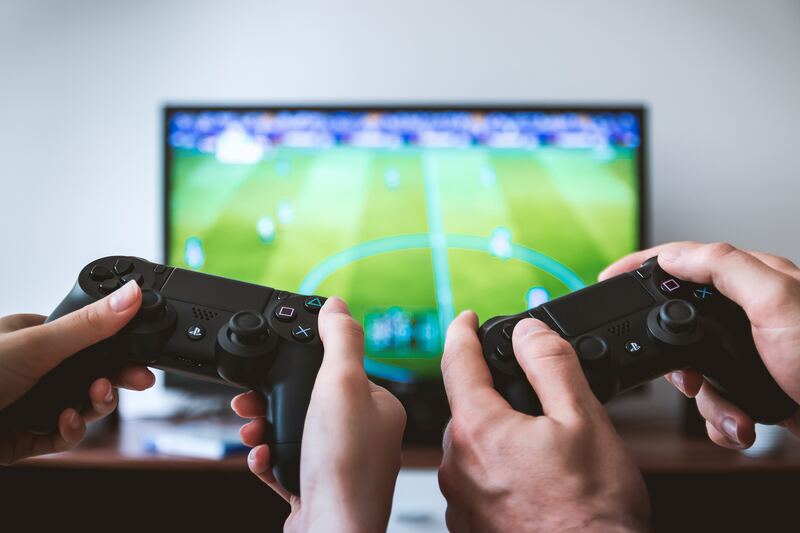 ‘Esports,’ also known as electronic sports, refers to the thriving industry of professional competitive video gaming, which is regarded as the fastest-growing sport in the world! The esports industry has an estimated market value of $900 million and is only expected to grow in the years to come. Within the esports world, many different video games are played at the competitive level and each one is regarded as a separate sport. Most well-funded games of a competitive nature which have a large player base can be an esport, though professional players tend to focus on multiplayer online battle arena (MOBA), real time strategy (RTS) and first-person shooter (FPS) games. The games Defense of the Ancients 2 (Dota 2), Counter-Strike: Global Offensive and League of Legends (LoL) are among the most popular esports, though there are many more! Esports can be played on consoles like a PlayStation or Xbox, but the majority of play is PC-based, due to the high level of control offered by a mouse and keyboard. Due to their ability to be played without specific equipment or a playing field, esports are considered to be very accessible. While esports have gained significant popularity in the last few years, the history of competitive gaming goes back to 1972, when Stanford University was home to the earliest known video game competition for the game Spacewar. Later, in 1980, competitive gaming was widely accepted as a hobby when Atari’s Space Invaders Championship drew over 10,000 participants in the U.S. In the following years, other large-scale gaming tournaments were held, and the introduction of internet connectivity in the 1990s changed competitive gaming as we know it by allowing millions players to compete online. The prevalence of esports continued to rise in the early 21st century, when the number of esports tournaments increased from approximately 10 in 2000 to 260 in 2010! More recently, online streaming platforms, including Twitch and YouTube Gaming, have significantly contributed to the growth of esports, becoming the most common way viewers watch them. Thanks to live chat functionality on streaming sites, fans who tune in on these platforms even have the chance to interact directly with players! Another major turning point for esports in the U.S. came in 2013, when 13,000 people attended a LoL world championship final, resulting in media visibility that established esports in the mainstream. Esports athletes, or e-athletes come from all over the world and are usually under 25 years old. This is likely due to the natural slowing of physical reaction times at age 24, a crucial factor in competitive gaming. Many professional gamers enter esports at a very young age, some joining teams and playing competitively as early as 12 or 13 years old! While some elite e-athletes can attribute their start in esports to being scouted as a casual gamer, those who want to compete professionally are generally advised to pick a game they enjoy playing and practice hard (not unlike traditional sports). Professional e-athletes may practice anywhere from eight to 16 hours a day. The level of commitment top e-athletes display should come as no surprise, as the top e-athletes in the world can earn six to seven figures from competition in the span of just a few years! Most e-athletes retire in their late twenties or early thirties, making way for the next generation of e-athletes to take the stage. When it comes to live esports events, major tournaments are filling 20,000 seat arenas and drawing millions more viewers online. Prize pools for esports tournaments are growing as well. The International 2018, a recent Dota 2 tournament, had a prize pool of $25.5 million, topping the Daytona 500 and U.S. Open! While most major esports tournaments are held in arenas that were originally built for traditional sports or large-scale performances, dedicated esports arenas are now in development around the world. These arenas feature state-of-the-art networks for players to compete on and consider the needs of the esports audience, including theatre-like sight lines and amenities for audiences to enjoy between rounds. Although only 16% of U.S. esports fans reported attending a live esports event in 2017, 66% of fans watched live esports events online on streaming sites. In some cases, esports fans who are gamers themselves even had the option of viewing championships through their own copy of the game! With 2.2 billion active gamers (and potential esports fans) in the world, the accessibility of esports spectatorship has truly helped them thrive. Several countries have also taken steps that change the way they identify e-athletes. The U.S. government, among others, recognizes esports players as professional athletes and treats them as such when it comes to visa applications. Despite their acceptance into the sports world, there are some differences in the organizational structure of esports. Unlike traditional sports, the esports industry heavily involves the publishers of big esports videogames, many of whom have sold franchises and built their own esports leagues. Additionally, esports teams are generally representative of their players’ personalities and playing style rather than a city. It’s also possible for teams to spread their focus across several different esports instead of just one. Several major sports networks, including ESPN and NBC Sports, have started broadcasting esports alongside traditional sports. Since 2015, the German soccer club, VfL Wolfsburg has supported several e-athletes who specialize in the FIFA video game. The Philadelphia 76ers purchased esports teams in 2016, becoming the first North American professional sports team to do so. In 2017, the NBA founded its new esports league, the NBA 2K League. Their recent draft of e-athletes was presented in the same regard as a traditional basketball draft. A new esports league called the League of Professional Esports (LPE) will begin its first season in 2019. LPE will only feature esports teams who are affiliated with traditional sports teams, with the aim of uniting the traditional sports and esports worlds. Stay tuned for the second post in this blog series to learn about the health considerations that come into play in the esports world, and how athlete EHRs like Presagia Sports can help improve e-athlete health and performance! We’ll also explore what the future holds in store for esports. Subscribe to our blog to be notified instantly when we release part two of this blog series!